Nickel for Scale has been honored with some press mentions! Rather than blogging about them, we figured it would be a good idea to collect them below. 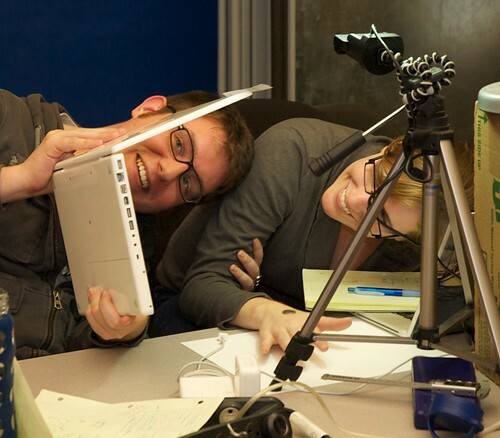 Amy and Marty hard at work at the Hackathon! Photo by baltimorehackathon.